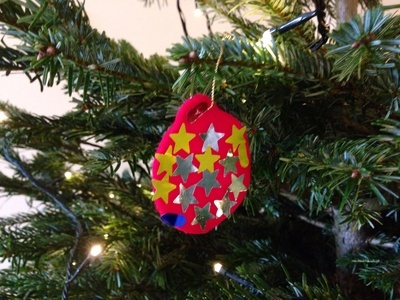 Here are some super quick and easy Christmas decorations to brighten up your Christmas tree. 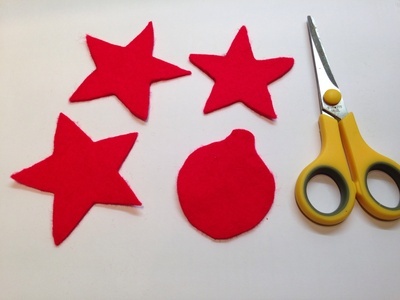 This craft is ideal for toddlers and preschoolers who can make their decorations quickly and enjoy the instant gratification of hanging their creations straight onto the tree. Cut out some shapes in advance from the felt material. 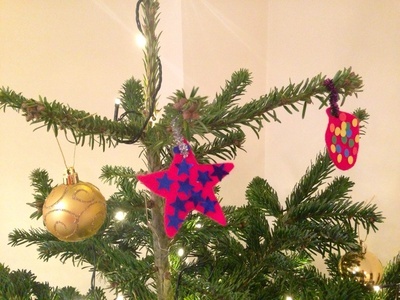 You could try stars, round baubles, bells, Christmas stockings etc. 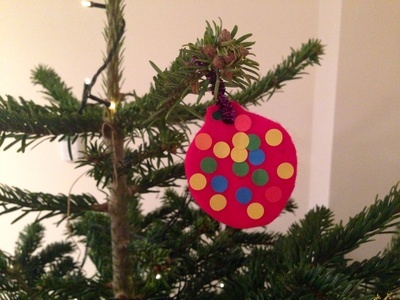 Let the children cover the felt shapes with the coloured stickers. 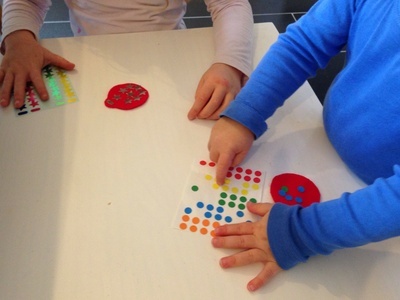 My preschooler was keen to organise colours and shapes whilst my toddler enjoyed sticking random patterns and colours. Pole a hole in the top of the shape and hang onto the Christmas tree using a piece of sparkly pipe cleaner or thin ribbon.